of all ages and made with healthy, organic, human-grade ingredients. Crunchy biscuits There are 24 products. 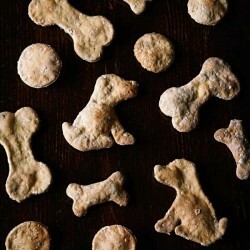 Grain-free treats for dogs, great for dogs with allergies and dogs used to a diet high in grains. 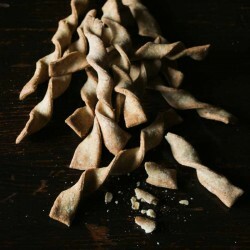 Small organic dog biscuits, containing carrot, oats and parsley - crunchy, delicious and healthy for your dog. 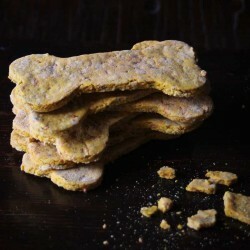 Our crispy biscuits for dogs with honey and cinnamon delight all dogs! 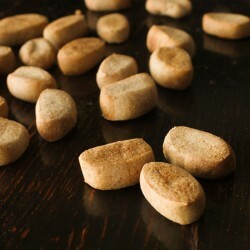 Organic dog biscuits, fresh, 100% natural human-grade ingredients. 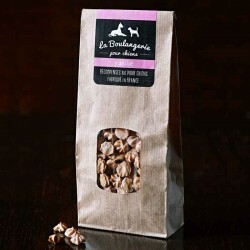 Handcrafted in France at The Boulangerie for Dogs. 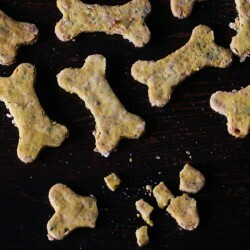 Delicious organic dog biscuits, large size, packed with carrot and parsley - great for bad doggy breath! 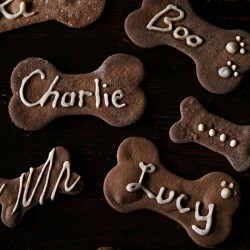 Organic and wholesome dog biscuits, with your dog's name! 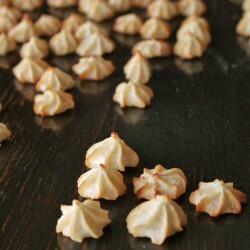 These biscuits for dogs are light and crunchy, with the delicious flavours of Beef Bouguignon. 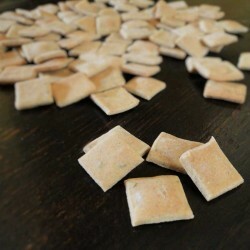 Crunchy dog biscuits in our delicious flavor Chicken Risotto. Our dog Charlie loves these ! Light and crunchy dog treats, grain-free, all natural organic ingredients. 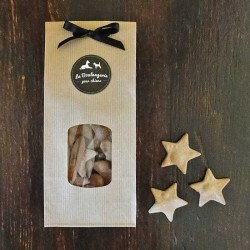 Our organic dog biscuits are presented in a white gift box with black ribbon, sure to bring pleasure to any dog or dog owner. 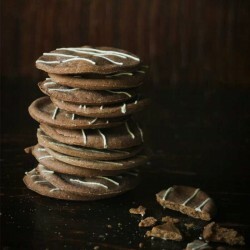 You can't help but smile when you hand these over! 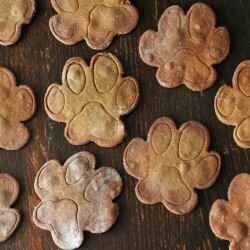 A delicious mini biscuit for dogs, made with rye flour, free-range eggs, honey and cinnamon. 100% natural ingredients, organic (non-GMO), vegetarian. Super healthy and super cute! 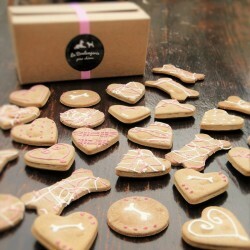 Gorgeous gift box of hand-decorated biscuits for dogs, made in France at La Boulangerie pour Chiens. 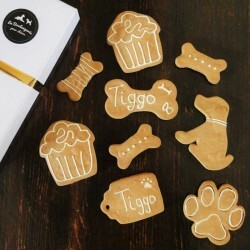 These organic biscuits for dogs are flavoured with carob, then drizzled with yoghurt frosting. Yummo ! 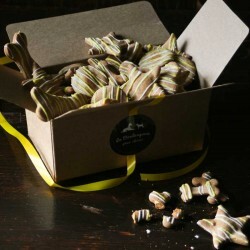 These organic dog biscuits are shaped as gingerbread men, bones and stars, then baked gently to perfection. A great idea for a christmas gift for a dog. 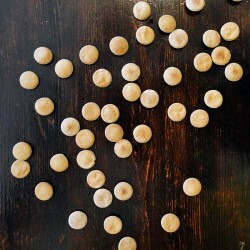 Training treats for dogs, 100% organic, Chicken Risotto flavour. Made in France. 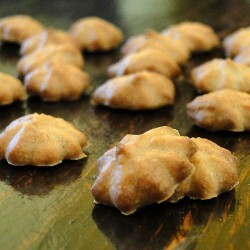 Mini dog treats in our tempting peanut flavor. Irresistable and full of vitamins and minerals. 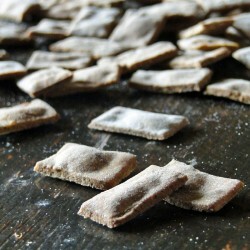 Mini organic dog treats with the tempting taste of Parmigiano Reggiano, which is always a hit with dogs and puppies. These treats for puppies and dogs are 100% grain free. Each bag contains at least 150 pieces, so they're also excellent value for money. Ideal size for training purposes. 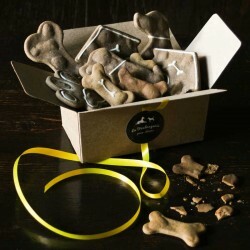 A gorgeous gift box full of delicious organic biscuits for dogs and puppies, with yoghurt icing - sugar-free ! Looking for something to spoil your dog? 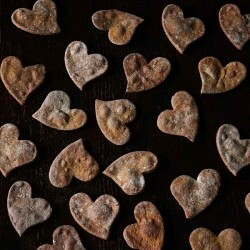 Give them a wonderful gift for Valentine's Day with our delicious box of organic dog biscuits!